If your Apple Watch stops responding to your iPhone, you can reboot it or you can turn the Bluetooth connection off and on. If that doesn’t work to reconnect your Watch, you might need to reset it, and then you’ll need to re-pair it. To restart your Apple Watch, press and hold the side button until the sliders appear. Swipe the Power Off slider to the right, and wait for your Watch to go dark. Turn it back on by holding down the side button (just below the digital crown) until the Apple logo appears. If that doesn’t work, try forcing your Apple Watch to restart by holding down the side button and the Digital crown for at least ten seconds until the Apple logo appears. If neither of the above works, you’ll need to reset your Apple Watch. 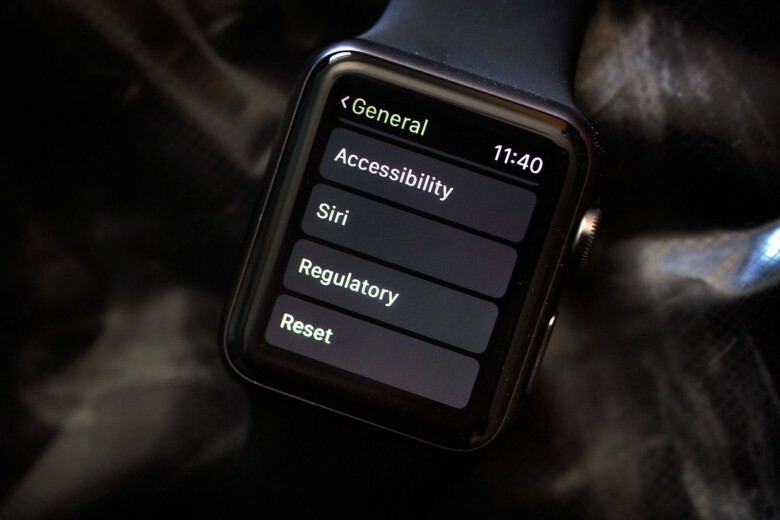 Press the Digital Crown to bring up your Watch’s app screen, then tap on the little gear icon for the Settings app. Once there, tap on General, then swipe down to Reset. 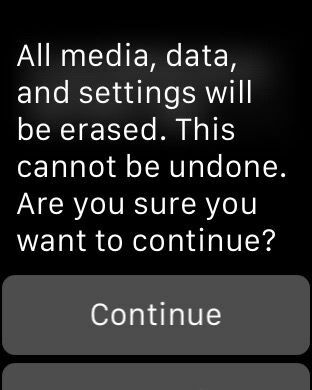 Tap on Erase All Content and Settings, enter your passcode, and then confirm the erase by hitting Continue. Put Apple Watch on your wrist, then press and hold the side button until you see the Apple logo. When prompted, position your iPhone so that Apple Watch appears in the camera viewfinder on the iPhone screen. Follow the instructions on iPhone and Apple Watch to finish setup. During setup, you’ll choose your language, watch orientation, and passcode. Now you should have a clean Apple Watch, and you can restore from backup.